An Air Services Limited (ASL) pilot died yesterday morning after the plane he was flying crashed into the jungle between Chi-Chi and Mahdia (Potaro-Siparuni). Captain Imran Khan, 41, was found by a search and rescue team which ventured into the area. Stabroek News learnt that communication with the plane and its pilot was lost early yesterday morning and the authorities only became aware of the situation when an Emergency Locator Transmitter signal was picked up around 9 am from the Cessna 206 aircraft. At the time of the crash only the pilot was in the plane. The plane was reportedly delivering food supplies in the region. Annette Arjoon-Martins, an executive of ASL and President of the National Air Transport Association, last night confirmed the death of the pilot. “So our captain didn’t make it… At the start of the crack of dawn in the morning (today) we would be bringing him out and have him flown to town…,” she said in a telephone interview. It is unclear what led to the fatal crash but she explained that a team from the Guyana Civil Aviation Authority (GCAA) would be going into the area this morning to carry out investigations. “From there we would piece together what happened. None of us would speculate what happened,” she noted. Arjoon-Martins said that after the authorities became aware of the plane going missing, they immediately launched a search and deployed five of their planes. She added that they were later backed up by helicopters from the GDF and ASL. During the aerial search by the Special Forces, the plane was spotted. 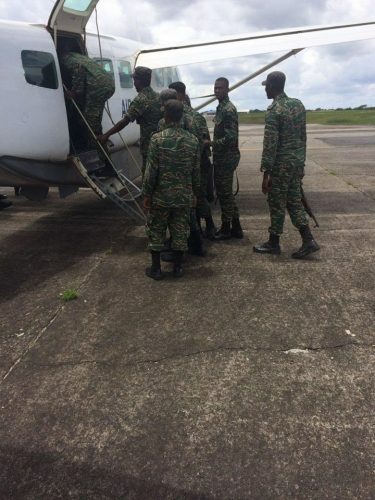 The search was supported by members of the Guyana Defence Force Special Forces along with staff from Jags Aviation. The plane was first spotted by Captain Rawle Seecharan who was flying a Jags aviation-owned Britten-Norman Islander plane. The GDF in a Facebook post on the accident said that the aircraft, piloted by Khan, was expected to arrive at 8.47 am in Mahdia but did not. At 9.08 am an ELT signal for the said aircraft, was identified as coming from an area west of Mahdia. As a result an operation was launched with troops from the GDF 31 Special Forces Squadron. The GDF had also deployed a helicopter to support the search and rescue mission which is now a recovery operation. Asked if the pilot at any point of his journey sent out a distress call, Arjoon-Martins responded in the negative and stated that only when the ELT was sent out they learnt something was amiss. 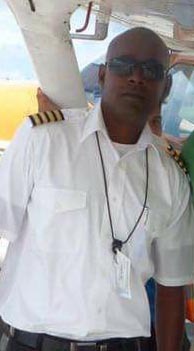 Stabroek News was told that a brother of the pilot was informed of the tragedy and he has since passed on the message to other family members who reside overseas. Arjoon-Martins expressed thanks to the team who assisted in the search yesterday. She said “We are always ready to help anyone in the aviation authority… we are all here together helping each other and mobilizing our support and we are thankful for that,” she said. Khan’s death comes a month after the passing of another pilot in a crash. 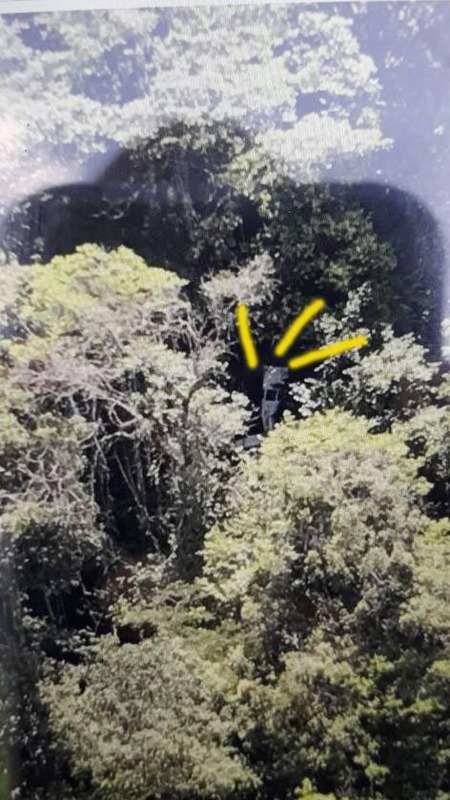 On July 25th , 39-year-old Collin Winston Martin, the chief medical evacuation pilot for Roraima Airlines died after his plane crashed while approaching the Eteringbang airstrip in Region Seven (Cuyuni-Mazaruni). In addition, on August 8th a single engine Cessna aircraft – bearing registration number 8R-GPR, crashed shortly after takeoff at the Eteringbang airstrip in Region 7. The pilot suffered minor injuries. 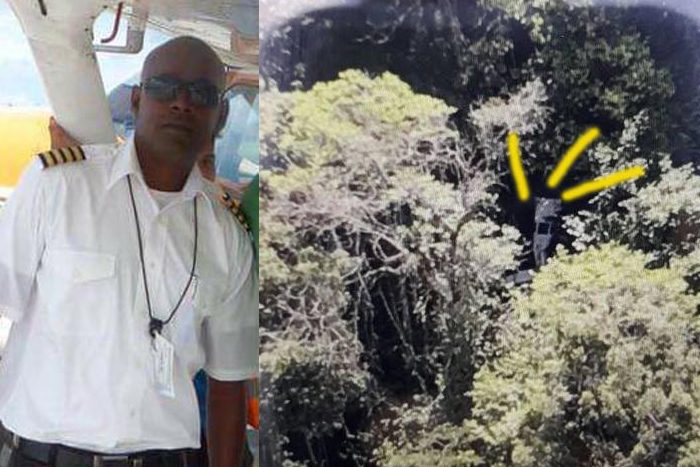 Chief Executive Officer of Roraima, Captain Gerry Gouveia, said Captain Martin who was flying solo at the time of the incident was returning from Ekereku, with another Roraima- owned aircraft behind him when the incident occurred around 5:30pm. Martin was returning from a trip to the Ekereku Mountains where he had delivered fuel to miners earlier in the day.